Santorini, officially known by its ancient Greek name Thera, is one of the Cyclades, small islands in the southern Aegean, each with its own long history. Thera-Santorini, born of gigantic volcanic eruptions, has two important archaeological sites: the prehistoric city at Akrotiri and the ruins of the ancient city-state Thera on difficult of access Mesa Vouno. 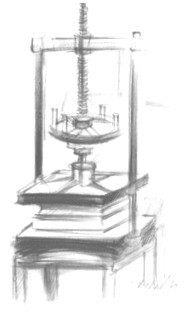 It is only natural, therefore, that many books have been written and many important international conferences organized relating to issues of historical, archaeo­logical and geophysical interest. By contrast, the bibliography on Santorini as an historical wineland, with its interesting singularities both in the system of training the vines and the processing of the grapes in the kánaves, as the winemaking installations of preindustrial Santorini are called, is poor. These singularities were studied in the framework of a research project conducted in the late 1960s by the Wine Institute, research foundation of the then Ministry of Agriculture. 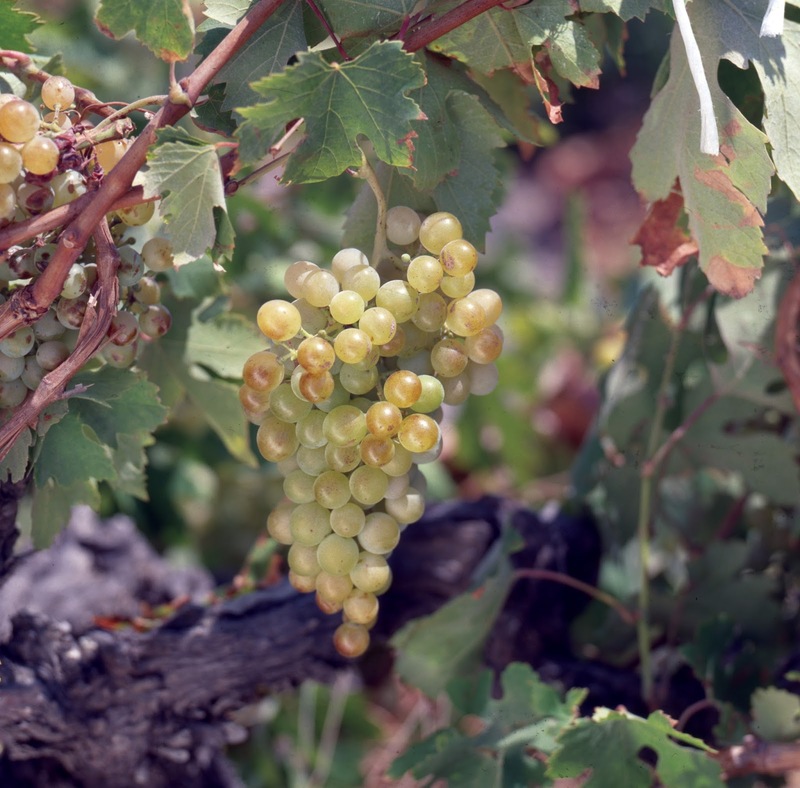 The results with regard to the viniferous quality of certain grape varieties cultivated for centuries on the island surpassed all expectations and in 1972 the responsible committee recommended the recognition and protection of the place name Santorini as “Appellation of Origin of High Quality” for certain types of white wines of the island. The relevant ministerial decision defined the terms that the vineyards of the islands of Thera and Therasia must fulfil, as well as the conditions of processing the grapes, the musts and the wines, so that the wine produced is entitled to bear the name of the island on the label of the bottle. Almost two decades rolled by until winemaking conditions in the kánaves of preindustrial Santorini began to adapt to the new era ushered in by the legislative specifications. In the meantime, two large modern wineries had begun operating: the first, of capacity 2,000 tonnes, was built and opened in 1980 by the Boutaris Company, while the second, of capacity 3,000 tonnes, was constructed on its own 2.9 ha plot by the Union of Santorini Cooperatives and was inaugurated in 1991. In 1993, twenty-one years after the toponym Santorini had been established in the market as an Appellation of Origin, the Stylianos and Fany Boutaris Foundation decided to produce a collective volume on the natural and cultural wealth of vini­cultural Santorini, whose place name denoted an island of particular beauty, as well as an offspring of this island, the wine santorini. Another twenty years have elapsed and this book, published in 1994 in three languages (Greek, French, English), has long become a collector’s item, difficult to come by, which depicted the transitional period from preindustrial Santorini of the nineteenth century to Santorini of the last quarter of the twentieth century. During these last twenty years, the picture of the island has changed radically. The traditio­nal way of training the vines continues, but the methods of modern technology which are now applied in all the wineries, large and small, have enhanced the viniferous wealth of native grape varieties with the production of a wide range of old and new wine types, the distinctive aromas and tastes of which bear witness to the volcanic origin of the soil that the vine roots penetrate. Because the Santorini vineyard, never infected by phylloxera, is one of the very few self-rooted vineyards in Europe. Furthermore, in 2011 implementation commenced of a “Strategic Plan” to promote Greek wines, under the umbrella of a special European Union Programme to publicize the wines of producing countries in the foreign markets. Among the measures foreseen, four Greek “local varieties” were selected as ambassadors of Greek wine production, due to the quality of the wines produced from these indigenous grape varieties, adapted for centuries to the ecosystem of their region of cultivation. Among these four “local varieties”, the only white grape variety selected is the Asýrtiko of Santorini, the dominant cultivar, which covers 75% of the total vineyard of the island. All these favourable developments led the Union of Santorini Cooperatives to propose, in agreement with all the winemaking agencies of the island, the publication of a new book on vinicultural Santorini. This aims to present to a wider reading public the Santorini we love, the “daughter of climactic wrath”, as the Nobel-laureate poet Odysseus Elytis dubbed the island born of the anger of the volcano, as well as the child of its vines, the “glory of crystal” of another Greek poet, Nikos Kavvadias. The book is dedicated to the vinegrowers of the island, who have kept viticulture alive through the centuries on this rock of the Aegeis.